Defence Minister Ron Mark at the release of the Strategic Defence Policy Statement. Defence Minister Ron Mark writes that climate change assessment will inform the review of the Defence Capability Plan and that Defence Estate Regeneration will be in a positive, future-proofed position during current government term. It’s been a big year for Defence, as I detailed in my last column, we’ve achieved a lot in a relatively short space of time. But, next year is shaping up to be just as busy. As I’ve signalled previously, we’re working on a review of the Defence Capability Plan. The previous Government signalled that Defence would have $20b to spend on new Capabilities out to 2030. However, they did not fully appropriate money through the budget process to fund it out to 2030. In the Coalition negotiations we secured a review of the plan in the context of the $20b budget. 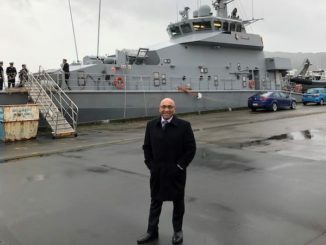 We’ve been working through our options over the last few months, and the Ministry of Defence and NZDF are doing some great work in this space. I had initially hoped to have the review ready by Christmas. However, as these are once in a generation decisions, I thought it prudent to do more work. I want to ensure we have the optimal mix of capabilities, with better certainty around cost and schedule. This means the review will be ready early in the New Year. I intend for it to be a very thorough document, well researched, aligned to the Government’s Strategic Defence Policy Statement and also our recently released The Climate Crisis – Defence Readiness and Responsibilities report. But, above all it will provide a detailed plan to modernise and focus our Defence Force capabilities. The review is an essential piece in the puzzle for identifying the appropriate replacement for our aging C-130s. Expect more news on that particular piece of work next year. Once we have the Capability Plan underway expect some new work to be done in the area of the Defence Estate. I’m deeply unhappy with the condition of the Estate. Again, Defence were promised a $1.7b plan from the previous Government, but the money was never appropriated in full – rather, it needs to be sought year by year. We need to act, but we also need to be smart about it. I want to make it my mission to have Estate Regeneration in a positive, future-proofed position before the end of this term of Government. There is also some more work underway in the area of Climate Change. As mentioned, in December we launched the new strategic document entitled The Climate Crisis – Defence Readiness and Responsibilities. 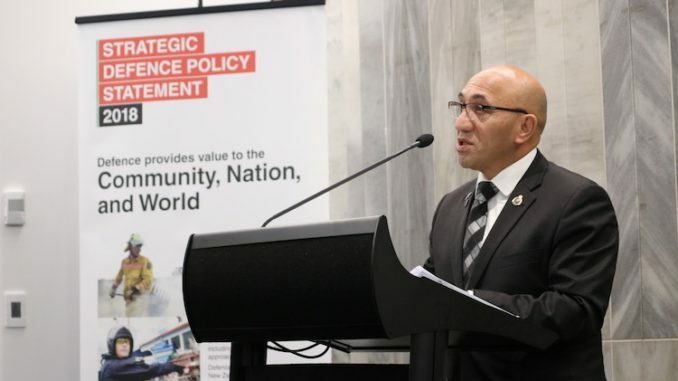 Therefore it stands to reason that we needed to look deeper in order to better understand the social and security implications of climate change, and what our Defence Force will face when it responds to these weather events. The assessment identifies the particular security impacts which may arise, including vulnerable populations losing their economic livelihoods, increased food and water scarcity, malnutrition, climate migration, health related crises, competition for resources, land disputes and the potential for increased violence from mismanaged adaptation or migration. It is a necessary first step. It makes it clear that Defence will have to adapt to meet the challenges posed by this emerging threat to our security. As stated above we are using this assessment to inform our review of the Defence Capability Plan. But, we are also putting together an implementation plan to act on the recommendations. As a nation of four and a half million people we do some seriously great work on our deployments and we can be proud of our achievements. But, it makes sense to take a big picture view of where we want to commit our people for maximum effect. There next year we will be reviewing our Iraq and Afghanistan deployments against our other commitments at home and abroad. This is a longstanding piece of work which will shape our commitments overseas. I’d like to close this column by saying it is an honour to be serving as the Minister of Defence, and the Minister for Veterans. I’m excited by the opportunities we have in 2019 to shape our Defence Force and put it in a good place for decades to come. I’ve said it before, and I think it’s worth saying again. It is my goal to leave the Defence Force in a better place than I found it. And I challenge whoever takes over my role when I eventually move on to do the same. If we can continue to build that momentum then Government can best serve the wonderful women and men who serve our nation. We should all be very proud of our people, and we should never lose focus that they are the most important thing when we as politicians make decisions. This is why 2019 will be a big year, and one I am very excited to get started. The C-130H(NZ) replacement is imperative and it has been put off by politicians of all govts since 1999 for various reasons that have to do with various ideologies from the left, the right and everywhere in-between. 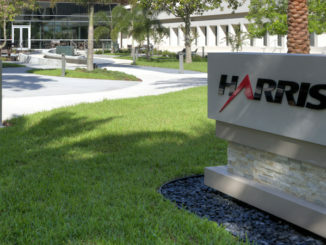 Hundreds of millions of dollars were spent on an ill-advised refurbishment of the aged aircraft, when the money would have been better spent on acquiring the C-130J variant and we were offered the ability to be included in the Australian acquisition which would have been added value for money. However political ideology and certain politicians egos cost the country over $250 million and that was just the planned refurbishment. That didn’t account for all the cost overruns etc. Now we have five aircraft that are close to reaching the end of their lives having reached the total number of allowable airframe hours. They are increasing expensive to maintain and operate and the risk of a fatal inflight catastrophic failure increase with each flight due to the age of the aircraft. This saga has dragged on to long with the Future Air Mobility Capability (FAMC) Request For Information (RFI) released August 2016 and the responses due 30 September 2016. We know that the FASC project has been ongoing for a number of years because the C-17 acquisition was looked at as part of it in 2014 / 15. 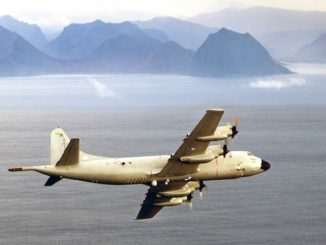 The FAMC was always going to be a tactical airlift capability acquisition first, with the RFI stating that the first platform to be in NZ Feb 2020 and IOC Feb 2021, with the five C-130H(NZ) aircraft being replaced between Feb 2021 and Feb 2023, and FOC of the new capability no later than Feb 2024. The strategic airlift capability is not so urgent that can wait for two years before a decision has to be made. The Minister will be very aware of the business case and it will have been submitted to Cabinet because the FAMC RFI was released at the same time as the FASC (Future Air Surveillance Capability) RFI and the P-8A acquisition was approved earlier this year. So instead of indefinitely delaying the C-130 replacement, the Minister and Cabinet have all the data and the business case, just get it done before we have a fatal accident.